Why Isn't This Marriage Enough? Wondering Why You're Not Happy & Satisfied In Your Marriage? Maybe you’ve been drifting apart since the kids have grown and the distance between you and your husband has become too unbearable. No matter how you got here, it’s time for answers – your answers for your life. For a limited time, I’m making copies of my International Best-Seller “Why Isn’t This Marriage Enough?” available for free. Filled with insights and soulful guidance, it will help you navigate this difficult time, gain clarity about your situation, and know you’re not alone. 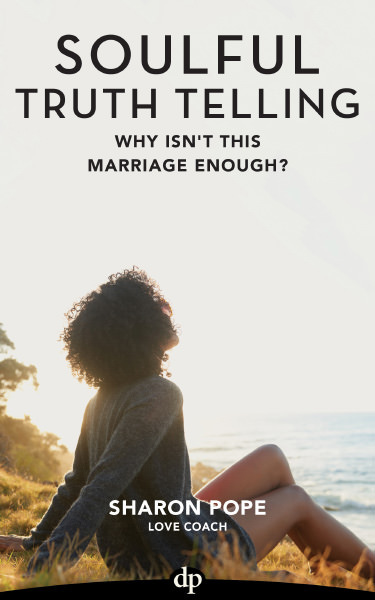 “Why Isn’t This Marriage Enough” will guide you to look inside for answers to the questions that keep whispering to you, and help you get the clarity you need to move forward with your life.